How to Calculate the Value of Your Workers' Compensation Claim? When you’ve been injured in a workplace accident life can be hard. You are forced to deal with the pain and physical limitations caused by your injuries. You are also forced to deal with an uncertain financial future. How will you pay your medical bills? Who will provide support for you and your loved ones while you are unable to work? What will happen if you don’t fully recover? How will you be able to earn a living in the future? At times, the questions that you have can be overwhelming. One way to stop feeling overwhelmed and gain control of the situation is to begin to calculate the potential value of your workers’ compensation claim. Remember, California’s workers’ compensation laws are designed to protect workers just like you who have been injured on-the-job and need to obtain compensation for those injuries while they recover. Unlike other areas of the law involving injuries, workers’ compensation does not require that you prove that someone else was at fault for your injuries before you recover. All you have to show is that you were hurt while you were on-the-job. That’s it. Also keep in mind that calculating the potential value of your workers’ compensation claim is an estimate, not a guarantee. Keep in mind that every case is different. Workers’ compensation laws are complex and an estimation of a specific amount that you would receive after filing a claim for your injuries is subject to factors that are not easily predicted. Remember, the best way to maximize the amount of compensation that you receive is by hiring an experienced workers’ compensation attorney. That said, depending on the nature of your particular injuries and their severity, there are several general areas of workers’ compensation law which may be applicable to you. Under California law, you are entitled to medical treatment for the injuries you sustained while working. The bills for that treatment are, in the majority of cases, paid for by your employer’s workers’ compensation insurance carrier once you file a valid workers’ compensation claim. You should never even see a bill for the treatment that you receive for your injuries. In fact, in California, it is illegal for a medical service provider to bill a patient for treatment once they are aware that the injury in question is work related. Keep in mind that in some cases, your employer’s insurer can object to paying a bill for a treatment that they claim is unreasonable. This is why it is important to seek advice from a qualified workers’ compensation attorney as soon as possible after you’ve been injured on-the-job. If your injuries prevent you from working while you recover, you are said to be temporarily disabled. Temporary disability is money that acts as a substitute for your salary. You receive temporary disability payments during your recovery period on a periodic basis to help you support yourself and your loved ones. Once you fully recover, the temporary disability payments cease. The amount of money that you receive as temporary disability depends on the amount of money that you earn from all sources of employment. On average, you will receive two-thirds of your pre-tax wages from all sources as temporary disability. So, for example, if you earned $900 per pay period before you were injured, you will receive $600 every two weeks as temporary disability. Keep in mind that temporary disability payments are only available after your workers’ compensation claim has been approved by the claims administrator handling your claim or by an administrative law judge. There are instances where an injury is so severe that medical treatment will provide no further benefit. In other words, the injured individual will never fully recover. If this happened to you, you would be declared permanently disabled. In workers’ compensation law, permanent disability is measured on a scale of 0% to 100%. A person who is found to be 100% disabled is said to have a total permanent disability. Anyone who is found to be less that 100% disabled is said to have a partial permanent disability. In general, the higher the percentage of your permanent disability, the more money you will potentially recover as compensation. However, there may be other factors involved in your case which can apportion your level of disability and cause your compensation to be offset as a result. 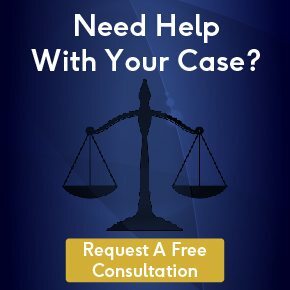 Consult with an experienced workers’ compensation attorney to learn more about permanent disability and your injury claim. At times, an injury that results in permanent disability can also have an effect on a person’s ability to work at their accustomed job. They simply may not be able to physically do what they did before they were injured. In these cases, the injured person may be eligible for vocational rehabilitation in order to allow them to find suitable alternative employment. In order to obtain vocational rehabilitation, certain requirements must be met. First, you have to be permanently disabled. Second, you must not be able to return to the position that you held when you were injured. Third, your employer must not have offered to modify the responsibilities of your position to accommodate you or offered you an alternative position. If all these requirements are met, you will receive a voucher worth $6000 that can be used to obtain vocational rehabilitation. The voucher can be used towards tuition at any applicable school in the State of California. A portion of the voucher can also be used to purchase a computer to aid in studies. Finally, in most cases, the voucher must be used within two years of the date it was issued.